Driving a motorcycle can be an uplifting experience and there are many men and women that prefer to ride their motorcycle instead of owning a regular vehicle. 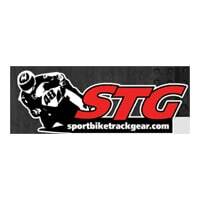 Sport Bike Track Gear is a website that has an extensive collection of clothing and accessories that you might need while you’re out on the road. You can browse through their collection of helmets, riding gear, parts, tires, suits, jackets, and other accessories. Instead of visiting the individual categories you can also sort through their inventory by brand or you can view the featured items on the front page of the company’s website. For most up to date offers check out STG on Facebook and Twitter or contact STG Support for any questions.